One of the smaller houses of interest in Normandy is ''Mariners'' which lies off the Guildford Road just west of the crossroads with Glaziers Lane and Hunts Hill Road. The house was built in about 1770, of brick with slate roofs in the Georgian Classical Style. It has the typical finely provisioned sash windows and originally had a pillared Palladian style porch to the main door facing north. The builder is believed to have been John Westbrooke who was the owner of the land at the time. There was probably an earlier dwelling on the site evidenced by the remains of flint walling incorporated in an outhouse. The holding, which was then called Wheybornes, was enclosed from the waste of the Manor of Cleygate at some time prior to 1546 and consisted of meadow and woodland covering about two acres. The first recorded holders of the property were the Manory family who held other land of the Manor. The ownership of Wheybornes descended through various holders until Thomas Barrett acquired it in 1798 and added more land so that the holding was increased to about five acres. In 1851 the property was sold to James Horne. He named the house ''Mariners'' because he had served in the Royal Navy. He was instrumental in introducing the Wesleyan form of worship to Normandy. In 1853 he sold a piece of his holding bordering Glaziers Lane to the Wesleyan Circuit and a small chapel was built. James Horne preached there and was followed by his son Jabez. In about 1860 James Horne built a pair of semi-detached cottages adjacent to the chapel and his sons James and Joseph were installed with their families. The cottages still exist as "The Croft" and No 5, Glaziers Lane. 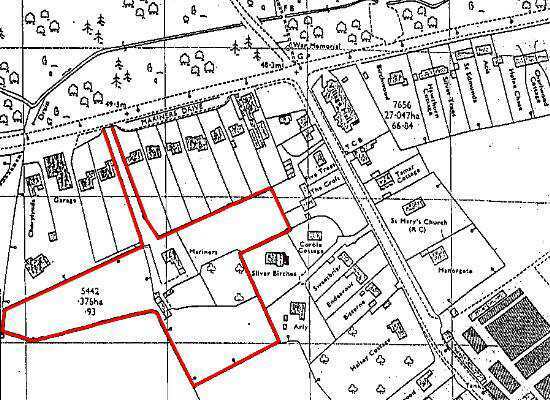 In 1884 a portion of Normandy Common between the slaveholding and Guildford Road was allotted to Mariners increasing its area to its greatest extent of; almost seven acres. In about 1900 James' grandson, Jabeth (known as John), who had been apprenticed to Mr Holland at the village stores, now Normandy Motorcycles, started selling groceries from the front room of Mariners House. His business having expanded, John built Normandy Village Grocery Stores on the site now occupied by Session Music. 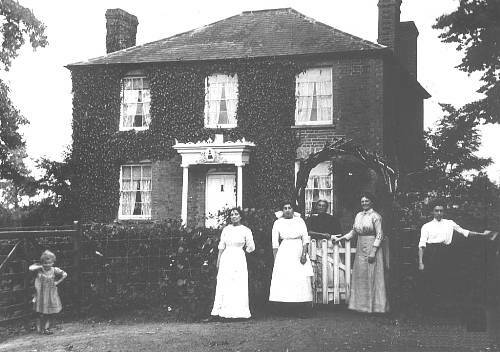 The Horne family held Mariners until 1905 when it was bought by Thomas Elliott who renamed the property ''Normandy Common Farm''. He died in 1909 and is buried in Wyke churchyard. He was followed by his son William who had served as a Corporal Major in the Second Lifeguards. For some reason by 1910 the property was known as "Como Farm" and it is believed that this was simply a shortening of the previous title in spite of colourful legends that have been handed down. In 1937 Como was sold to Miss Constance Hubback who bred dogs and she retained the name "Como". She left in 1957 and Miss Isabel Toulin acquired the property. She used it as a summer retreat and also allowed the local hunt to meet there. She decided to return the name of the house to "Mariners" which it has borne ever since. 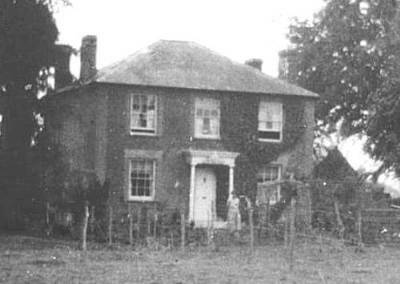 In 1961 she sold the paddock between the house and Guildford Road which had been used by Miss Hubback as a dog exercise ground. Soon after, the row of houses called "Mariners Drive" was built on the site. Miss Toulin died in 1978, the Mariners property was put up for auction and was acquired by the present owner.